In 1937, with The Lady Vanishes, Alfred Hitchcock ended his British period to move over to Hollywood. A mixture of genres this film holds the same verve of the films of Hitchcock’s early career. 1937 marked a watershed moment in Alfred Hitchcock’s career. He had returned to England in the September of that year following a visit to America, where he hoped to form contacts at Hollywood studios. Relatively unknown to American audiences, Hitchcock had hired an American publicist to ensure the press knew of his arrival. Although no offers transpired during the trip, he managed to secure an introduction to David O. Selznick’s representative in New York. Incidentally, David O. Selznick was the brother of Hitchcock’s agent, Myron Selznick, the American agent who lived and worked in England. Before Hitchcock could pursue his contact in New York, he had to edit his latest picture, Young and Innocent, and fulfil his contractual obligation with Gainsborough which called for one last picture. Impatient to oversee his obligations in England, Hitchcock looked for a ready-made shooting script that would ensure a quick turnover and thus not detain his return to America. Frank Launder and Sidney Gilliat’s screenplay The Lady Vanishes was presented to him. A comic- thriller, it was based on Ethel Lina White’s bestselling novel, The Wheel Spins, which had been published in 1936. The plot centred around Miss Froy, an English spy posing as a governess, who disappears whilst onboard a train journey through a Balkan country. Iris, a young woman whom she befriended, raises the alarm, but the passengers fail to recall a Miss Froy. Having suffered an injury to her head prior to boarding the train, Iris is believed to be hallucinating. Having teamed up with Gilbert, a young man she dislikes, the pair search for Miss Froy, and fall in love along the way. But Hitchcock almost missed out on the picture entirely. Originally scheduled for production in 1936, The Lady Vanishes, then working under the title of Lost Lady, was to be directed by Roy William Neil, the Irish-born director whose career dated back to 1917. However, production got off to a disastrous beginning when Neil’s assistant director took the crew to Yugoslavia for location shooting, where he fell and broke his ankle. The police who investigated the accident discovered the script, and far from impressed by Launder and Gilliat’s farcical portrayal of their country, they handed the script over to higher authorities. As a consequence of their displeasure, the crew were deported back to England and production was abandoned. Hitchcock resumed production on The Lady Vanishes in November 1937 at Islington studios, and with a budget of £80,000 he quickly assembled a cast. 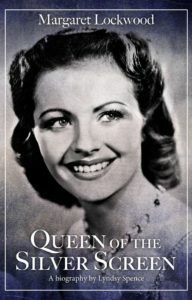 Margaret Lockwood was cast as Iris Henderson, the haughty socialite who is returning home to marry her aristocratic fiancé, and although Nova Pilbeam and Lilli Palmer were said to be in the running, Hitchcock dismissed them in favour of this ‘pretty, petite and sincere looking’ actress. 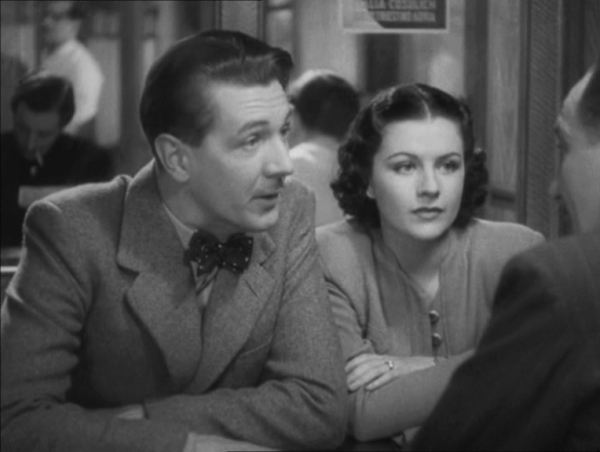 Michael Redgrave, a young theatrical actor, made his film debut as Gilbert, a rakish musician who encounters Iris and the two get off to an uncertain start. The part of Miss Froy, the lady who does indeed vanish, was played by Dame May Whitty, encased in tweeds as all English ladies were perceived to be. And Mary Clare made an appearance as an Eastern European baroness swathed in black fabric and lace. With an eye for minute detail and a reputation as a perfectionist, Hitchcock discreetly created an air of hostility and confusion on the set. Beginning with their working environment, measuring ninety-feet in length, including the interior of the train where majority of the picture was shot, it created the right amount of claustrophobia amongst the cast. 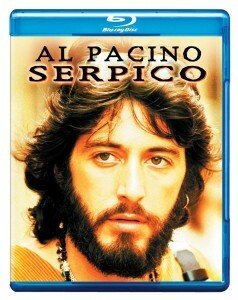 His young romantic leads, in particular, were the victims of his ploy. Lockwood and Redgrave harboured a degree of suspicion towards one another – then the film and theatrical worlds seldom met – and Hitchcock opted to film the scene of Iris and Gilbert ‘meeting at a disadvantage’. With the mood perfectly captured, he set about creating disorder amongst his cast. Realising that Lockwood and Redgrave each depended on a certain amount of direction – she had been used to the meticulous direction of Carol Reed, and he had been accustomed to play rehearsals lasting for weeks – Hitchcock gave them only three minutes to rehearse a scene before the camera rolled. He then refrained from directing them at all, and adopted the guise of a ‘dozing, nodding buddha with an enigmatic smile on his face’. Having approached him for guidance, Redgrave was firmly told ‘not to worry so much’ and ‘to do as your told’. Hitchcock unnerved him when he drew on his philosophy that ‘all actors are cattle’. Lockwood took it upon herself to approach Alma Reville, Hitchcock’s wife whom he depended on for all aspects of production. Allaying Lockwood’s concerns, Reville told her that Hitchcock only became vocal when irate. Further unnerving the cast, Hitchcock would call for afternoon tea to be served on the set, whereupon he would throw his cup over his shoulder, causing it to smash on the floor. This was his way of signifying that the break was over. ‘He certainly never did it out of temper or excitement, or any other feeling,’ Lockwood said. It simply became regarded as another one of his idiosyncrasies. The presence of Hitchcock’s nine-year-old daughter, Patricia, on the set gave the cast an insight into his private life as a father. On one occasion he cleared the set during the lunch hour and ordered mood lighting, and a small group of studio musicians to play from a specially made playlist. He then drew up a menu of his favourite dishes and asked for juice to be served in champagne glasses. When the preparation was complete, Hitchcock and Patricia ate a special luncheon, served aboard the set of the mock dining-car. Five weeks later, in December of 1937, production on The Lady Vanishes was completed. Gainsborough’s parent company, Gaumont-British had struck a distribution deal with MGM and the picture was to be its first release in American cinemas. A critical and commercial hit on both sides of the Atlantic, Hitchcock was awarded the New York Film Critics Circle for best director of 1938. It would be the picture that earned him the recognition he had hoped for in America. Having had three pictures fail consecutively at the box-office, the success of The Lady Vanished assured David O. Selznick that Hitchcock had a future as a director of Hollywood pictures. 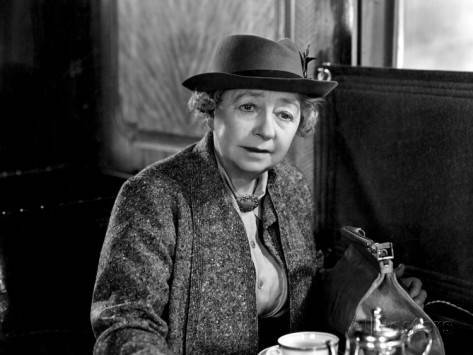 Opening to audiences who feared the rising discontent in Europe, the chaos endured by the stereotypical British cast of The Lady Vanishes paralleled that of Western society. Its plot contained clear references to the political situation leading up to WWII, its British characters trying their hardest to avoid conflict end up uniting to fight off the jack-booted attackers who hold up the train. When a character waves a white handkerchief to offer peace, he is duly shot. The latter contained a great deal of foresight, for it was the period of Neville Chamberlain’s ‘peace in our time’ speech. Sociological elements aside, Hitchcock pushed the boundaries in the picture when he depicted two men in bed together, a nun wearing high-heels, half-dressed young women and an adulterous couple. His disregard for censorship was a constant theme when making his pictures – think Ingrid Bergman and Cary Grant’s onscreen kiss in Notorious, then the longest kiss on film, defying the censors at the time. It could be said he honed this future skill of sidestepping the moral guidelines of American censors with The Lady Vanishes. It was to be Hitchcock’s last British picture and he went to Hollywood where his first American picture was Rebecca, starring Joan Fontaine and Laurence Olivier. The Lady Vanishes, a small-scale production in comparison to his later works, symbolised the turning point in his career. Long before the cool Hitchcock blonde of the 1950s and his psychological thrillers of the ’60s, The Lady Vanishes was a mixture of genres, as was familiar with Hitchcock’s early career. Having incorporated screwball comedy, mystery and suspense, set to a backdrop of social issues, Hitchcock’s audience were prepared to expect the unexpected. The Lady Vanishes is a perfect example of Hitchcock’s iconic craft and, perhaps, carving his reputation as the Master of Suspense.